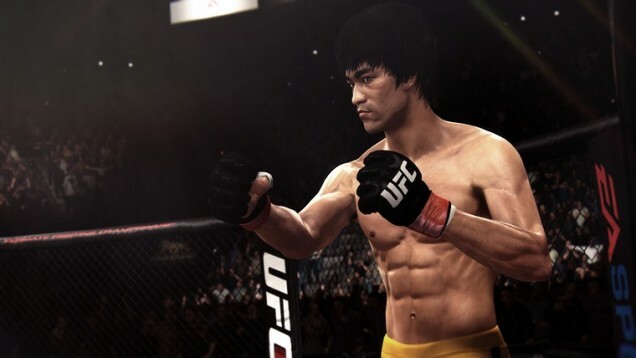 EA Sports UFC has a release date and a batch of in-game images of cameo fighter Bruce Lee in action, along with comment from the team. 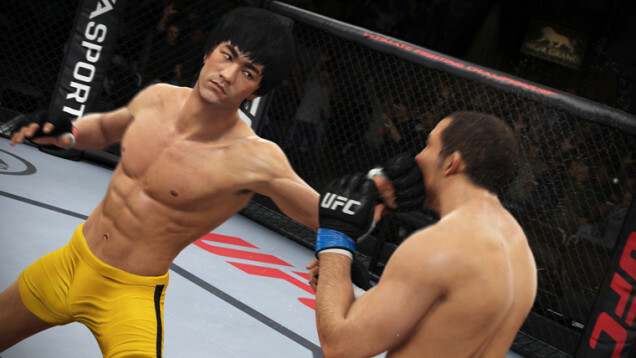 There’s Lee’s posthumous appearance, but apparently the model doesn’t just look like Bruce Lee, it is Lee. Confused? 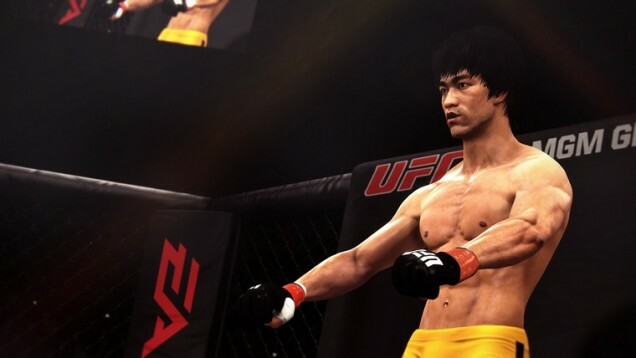 Talk us through it art director Ian Lloyd, “This does not just look like Bruce Lee. It is Bruce Lee. The way he carries himself, his fighting stance, his rippling physique, devastating speed, signature strikes and accompanying yells, whoops and shrieks. ORIGINAL STORY: A photo of a retail display for the game was posted on the AllGamesBeta Twitter. 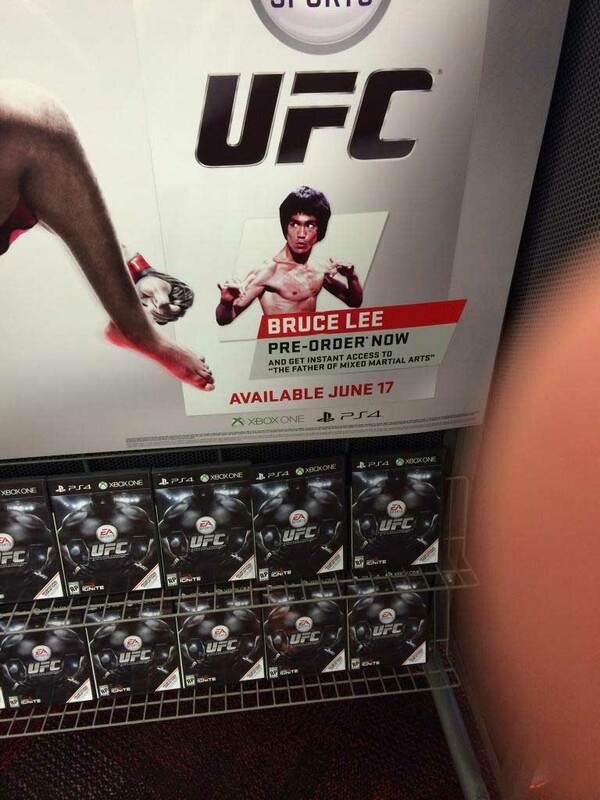 The display shows a release date of June 17 for the PS4 and Xbox One brawler, and mentions that pre-orders “get instant access to “The Father of Mixed Martial Arts”, Bruce Lee.